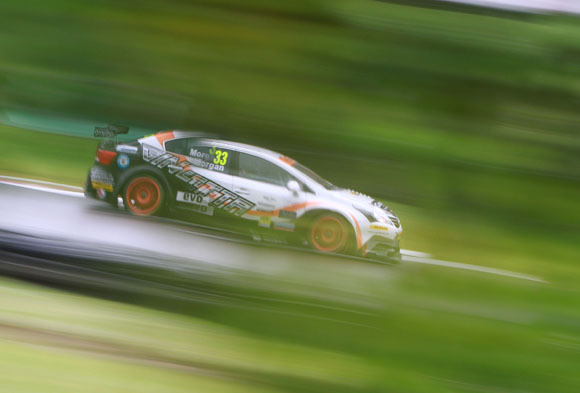 Adam Morgan will start tomorrow’s first Brands Hatch BTCC race from sixth on the grid after a superb showing in qualifying this afternoon by the Speedworks Motorsport Toyota driver. Morgan, who celebrates his 24th birthday in a week’s time, was less than six-tenths of a second off the pace of pole position man Tom Onslow-Cole (BMW). Morgan set his best time on the 12th of his 13 timed laps, setting a 1m 32.200s mark around the 2.4-mile circuit. It’s the fourth time this season he has qualified inside the top 10. There were problems for Dynojet Racing Avensis driver Frank Wrathall, however: he endured a smoky start to the session due to oil escaping from a breather pipe, but his chief concern was an intermittent cut-out. “It was hard work,” said Frank. “I’d be on a good lap and then, coming into Clearways, the engine would cut momentarily. 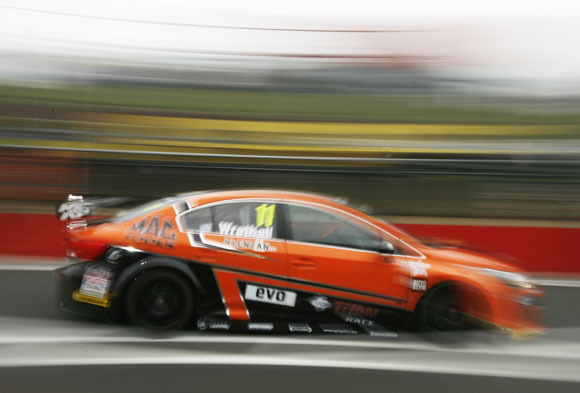 However, I improved the time I set in practice and considering that the oil leak problem looked quite bad at the time we are fortunate not to be at the back of the grid.” Wrathall ended the session 14th, with a time of 1m 32.622s, only a second off the pole. Despite his disappointment, Wrathall ends the year with a strong qualifying record – an average for the season’s 10 sessions of fifth. Investigations into his mechanical problems continue in the Dynojet pit, with an overnight engine change being mooted. An under-the-weather Tony Hughes battled to 23rd on the grid. 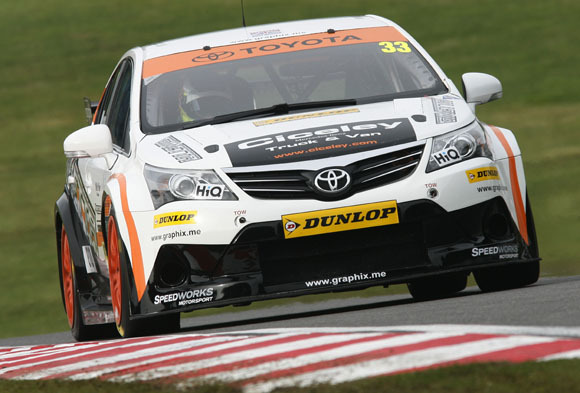 The Speedworks Toyota driver went off in the second practice session at Paddock Hill Bend, lightly damaging his Avensis, but there were no further dramas in qualifying. 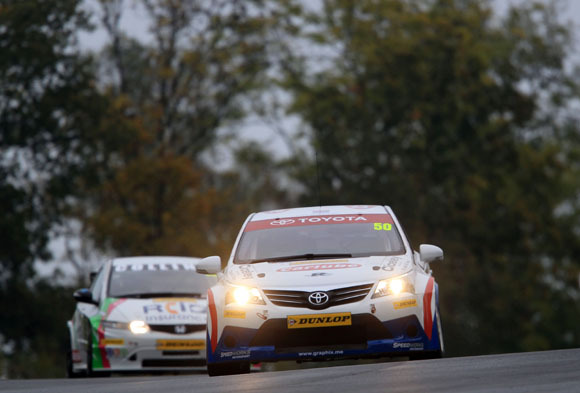 Tomorrow’s first BTCC race at Brands Hatch is due off at 1130, live on ITV4.